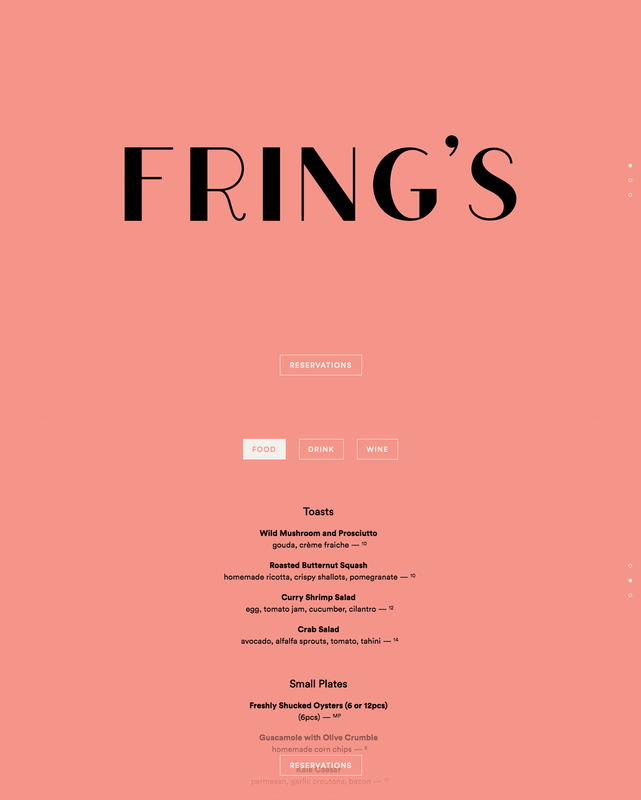 Minimal One Pager with a unique scribble-style preloader for Fring’s restaurant in Toronto. The 5th restaurant by The Susur Lee Family x Drake. Photography by Paolo Azarraga.